National Poultry Day is March 19, so celebrate by trying out one of these recipes. Maybe you’ll find a new favorite to add to your dinner rotation. 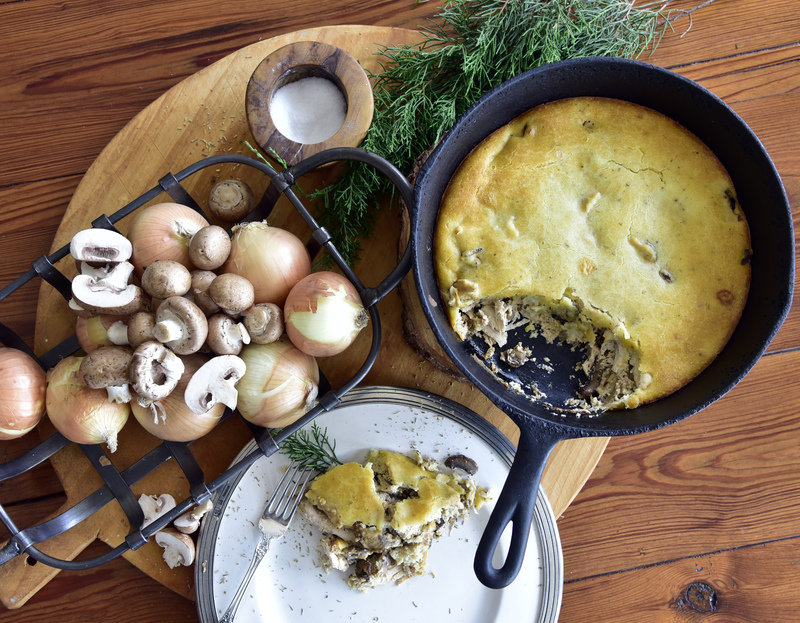 This gluten-free version of a classic comfort food is bursting with flavor and Portobello mushrooms. It won’t take you long to whip up or to finish your first helping. Get the recipe. This hearty chicken stew combines mouthwatering spices for a satisfying dish. Cardamom, nutmeg, cinnamon, cloves, turmeric and red wine marry to give the meal depth and keep you coming back for more. Get the recipe. Turkey isn’t just for Thanksgiving! Try this perfectly seasoned turkey breast filled with a delicious stuffing made from cinnamon-raisin bread and Italian sausage. Then wrap the stuffed turkey breast in pancetta for a beautiful table centerpiece. Get the recipe. There is something comforting and satisfying about an easy-to-make yet pretty-to-present roasted chicken. 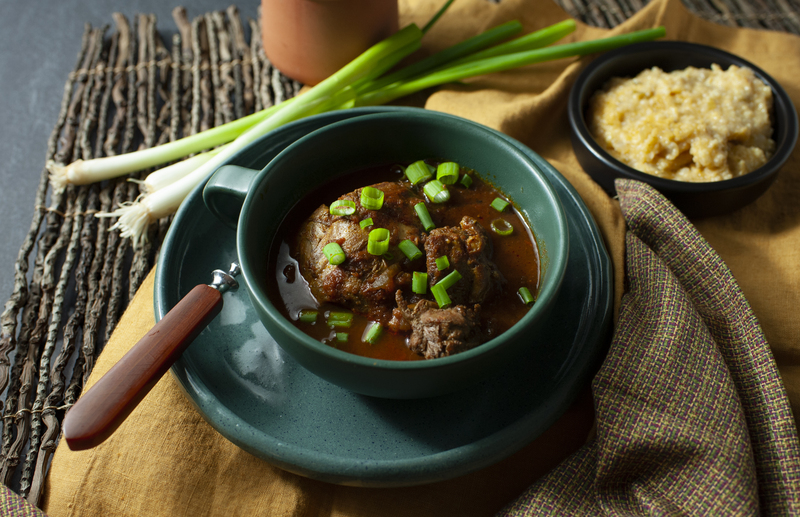 This is perfect for a cozy Sunday dinner. The house feels warm, and it smells sweet! The combination of apricots and rosemary makes a beautiful dish that can be complemented well with some roasted rosemary potatoes. Get the recipe. These fabulous noodle bowls are exploding with flavor and packed with vitamins and minerals. The vegetables have an incredible taste and the chicken marinade does magical things to the poultry. Get the recipe. 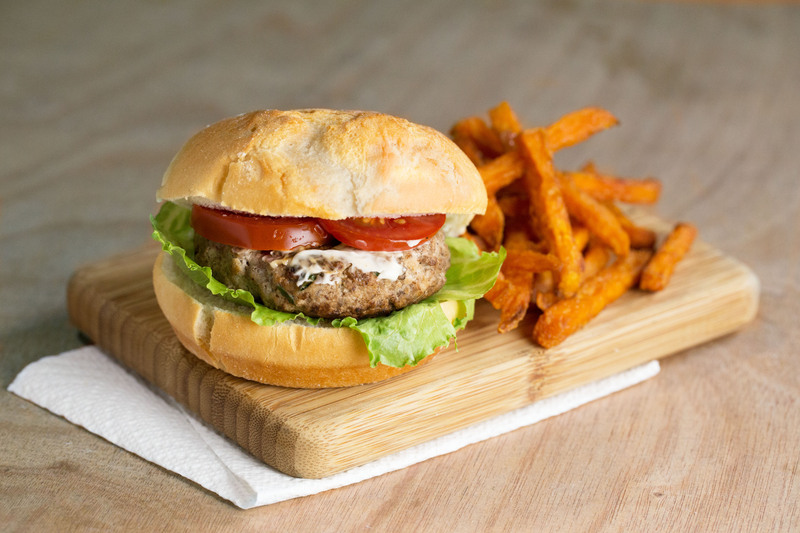 Mushrooms and ketchup bring an umami kick to these turkey burgers. With a side of sweet potato fries, this is a simple, satisfyingly healthy lunch or dinner. Get the recipe. This soup is a blend of Italian wedding soup and minestrone. 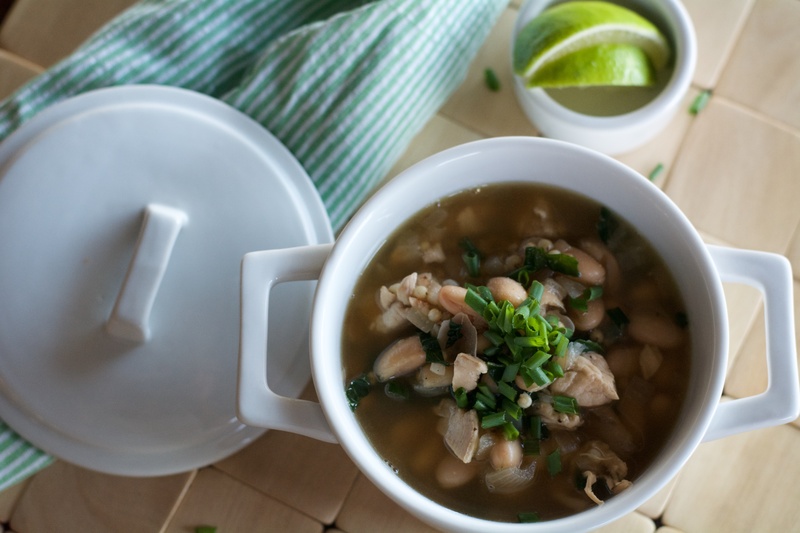 Flavorful bites of chicken, tender yet firm cannellini beans, and fresh, bright threads of kale make the basic soup. Sorghum adds a bit of “tooth” and interest. Get the recipe. This bright and easy salad could make those squeamish of greens change their mind. The lime dressing gives a punch to the well-textured salad. 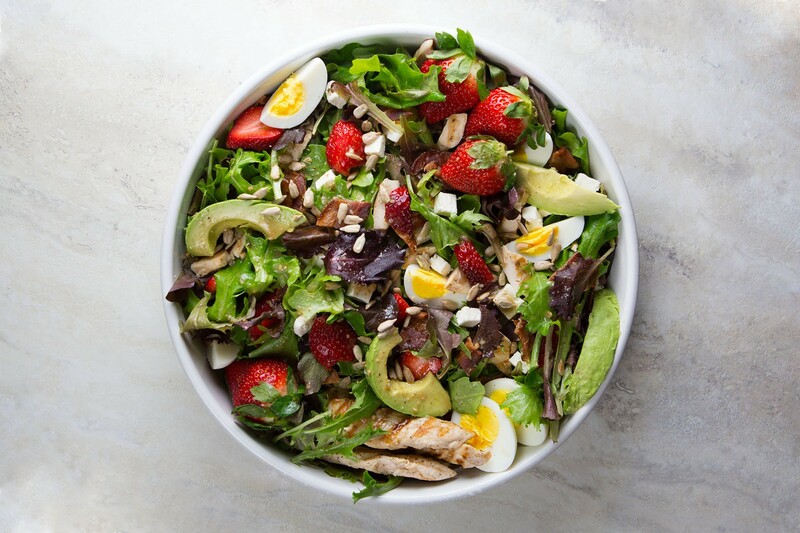 If you can find locally grown strawberries and greens at the farmers market, use them in this salad for the best flavor. Get the recipe. 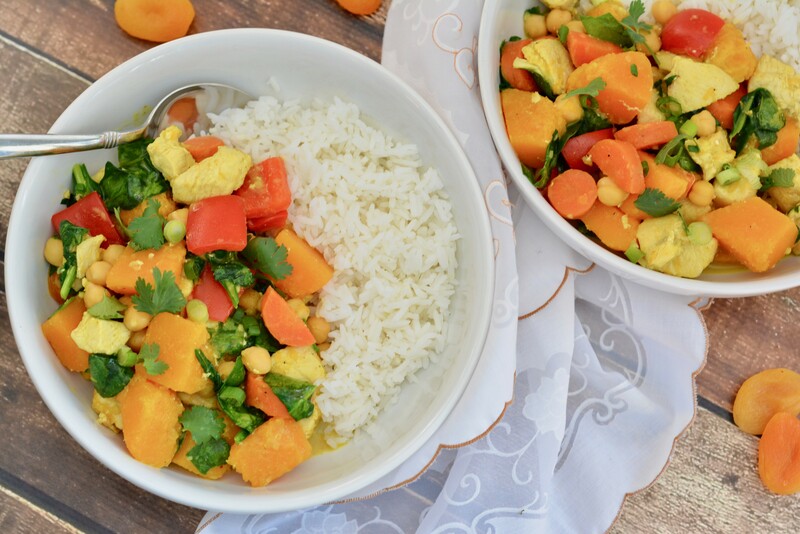 Butternut Squash Chicken Curry with coconut milk & chickpeas is a protein-packed, warming meal. The colorful dish will quickly become a family favorite. Since you’re only using one pot, cleanup will be a breeze! Get the recipe. 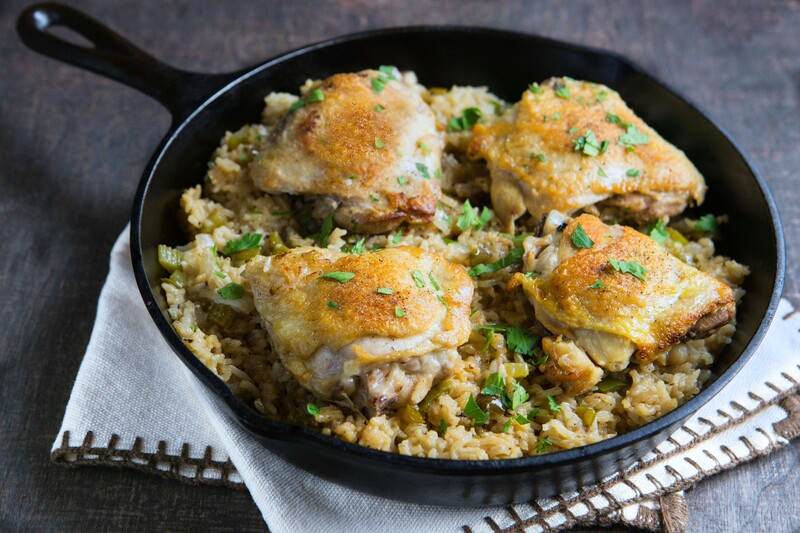 Not basic, but absolutely classic, this one-pot dinner is a simple take on the beloved combination of chicken and rice. 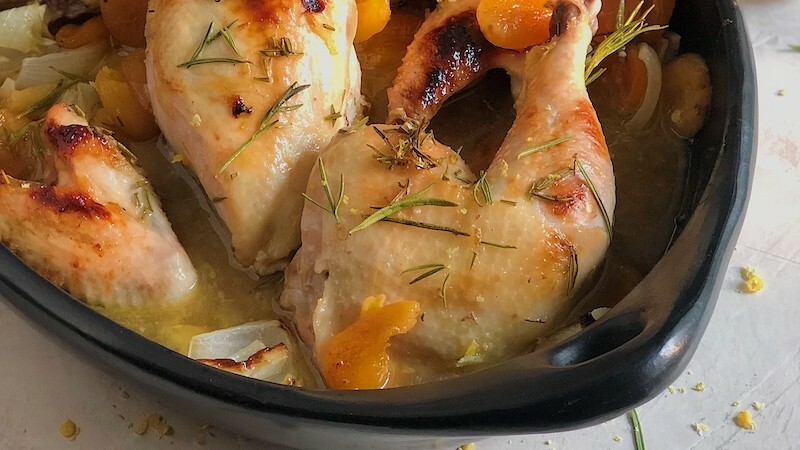 After you quickly brown the chicken and sauté the vegetables, everything cooks together in the oven, creating a flavorful dish out of simple ingredients. Get the recipe.